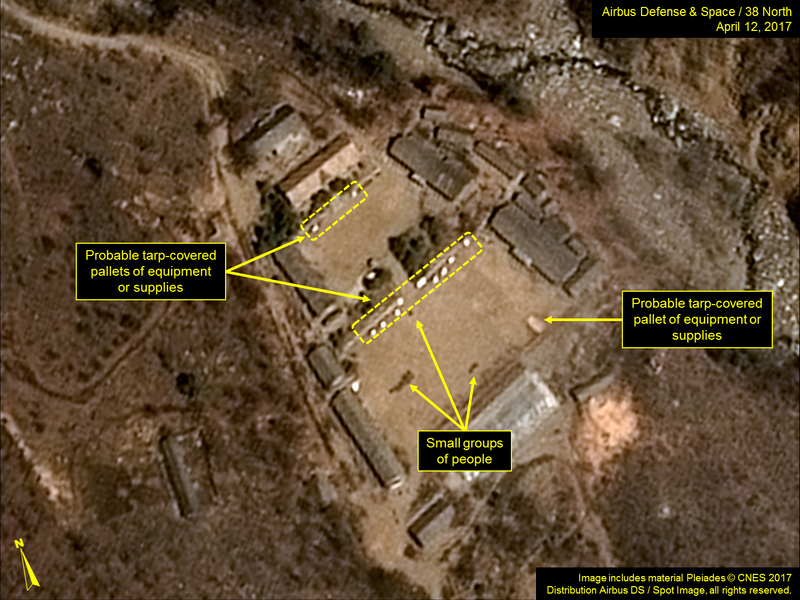 North Korea Said To Be Preparing Nuclear Device Detonation; Test Site Is "Primed And Ready"
In a striking development involving the rapidly changing North Korean geopolitical situation, moments ago Voice of America reporter Steve Herman stated that according to US government and other sources, North Korea has "apparently placed a nuclear device in a tunnel and it could be detonated Saturday AM Korea time." He then quotes an NSA official who had no comment at this time, but said "we will be watching closely." Herman notes that this could be North Korea's 6th nuclear test, following previous tests in 2006, 2009, 2013 and twice in 2016. The VOA reporter also tweeted a 3-D model of North Korea's nuclear test site with estimated locations of past explosions and notional tunnels. 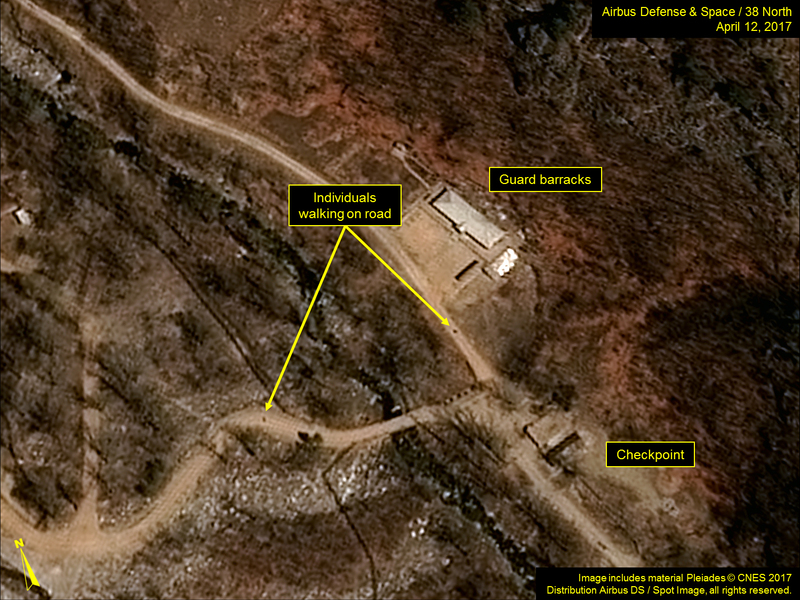 Meanwhile, satellite images courtesy of North 38 reveals that North Korea's Punggye-ri Nuclear Test Site appears "primed and ready." 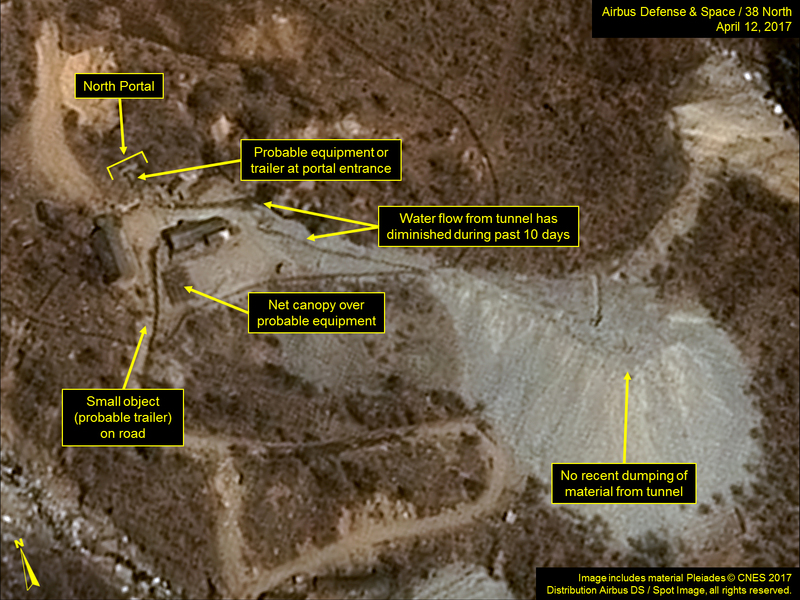 The website goes on to note that according to commercial satellite imagery of North Korea’s Punggye-ri Nuclear Test Site from April 12 shows continued activity around the North Portal, new activity in the Main Administrative Area, and a few personnel around the site’s Command Center. At the North Portal, what appears to be a small vehicle or trailer is located immediately outside the entrance; the water flow out of the portal has diminished in the past 10 days; and what may be a small trailer is visible on the road south of the portal. The netting—suspended over probable equipment—south of the portal’s support building remains in place, and there has been no significant dumping of additional material on the portal’s spoil pile. Figure 1. Vehicles or trailers are parked around the North Portal. In the courtyards of the Main Administrative Area, are approximately 11 probable tarp-covered pallets of equipment or supplies, a formation of personnel, and several individuals walking about. No activity of significance is seen at the West or South Portals or elsewhere in the facility. Figure 2. 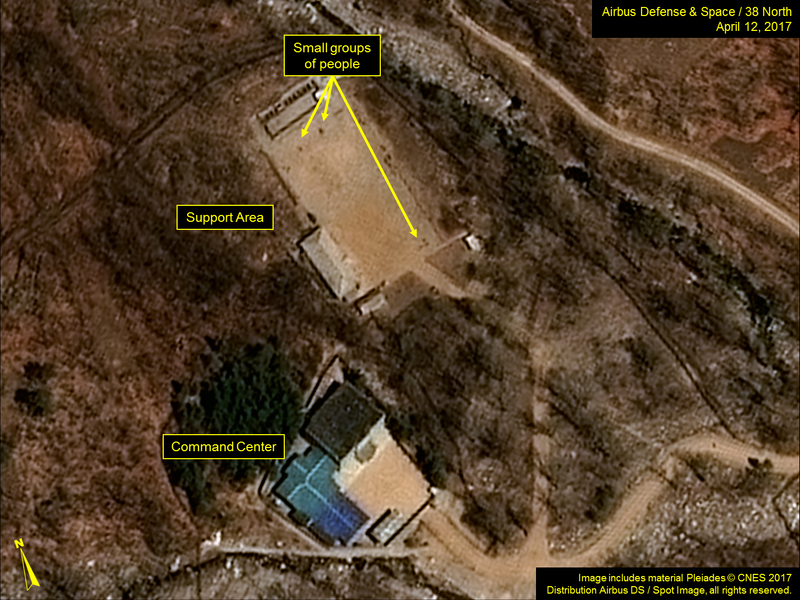 Probable tarp-covered pallets and personnel are seen in the Main Administrative Area. A few personnel are seen moving around the Command Center Area, guard barracks and security checkpoint. Figure 3. Small groups of people are seen in the support area of the Command Center. Figure 4. Individuals are seen walking near the guard barracks and security checkpoint. The increased movement comes as tensions with the US threaten to spill over with a US Navy strike group heading towards the Korean peninsula. As reported this afternoon, journalists visiting North Korea have have been told to prepare for a "big and important event" on Thursday as Pyongyang marks the 105th birth anniversary of its founding president Kim Il Sung on April 15, North Korea's biggest national day called "Day of the Sun”.